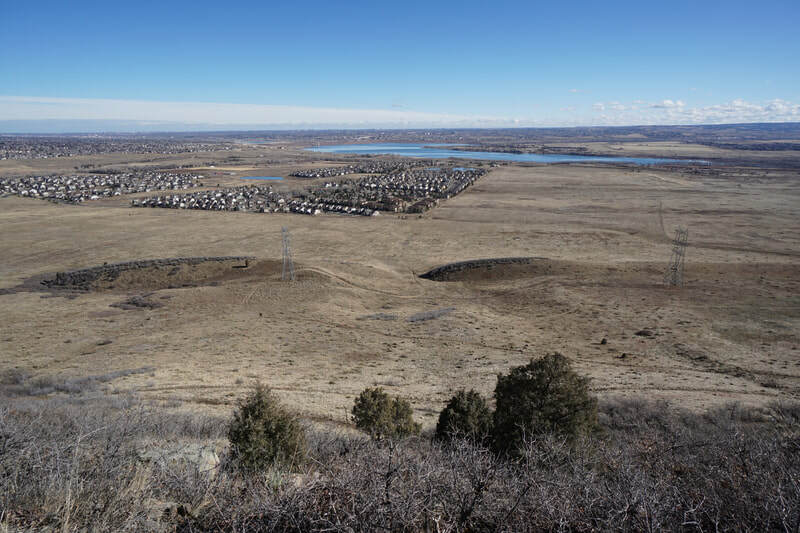 ​Hildebrand Ranch Open Space Park was added to the Jefferson County Open Space system a few years ago with a 5 mile loop, the Two Brands Trail. 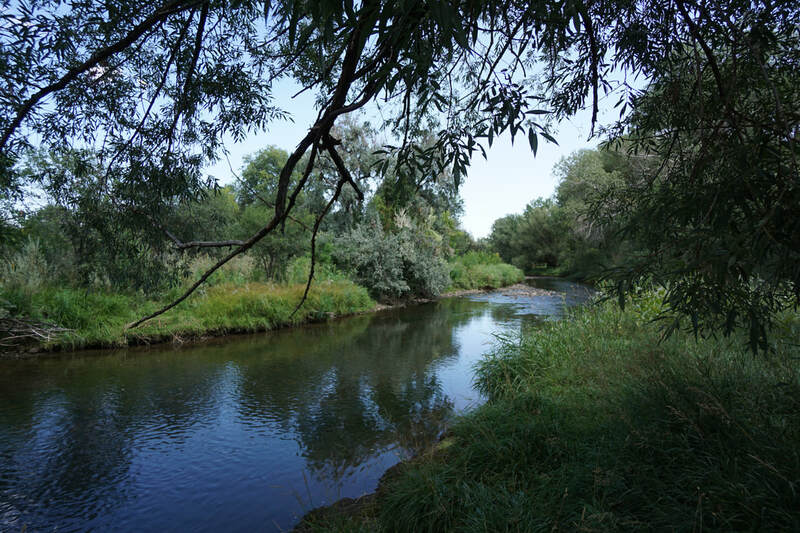 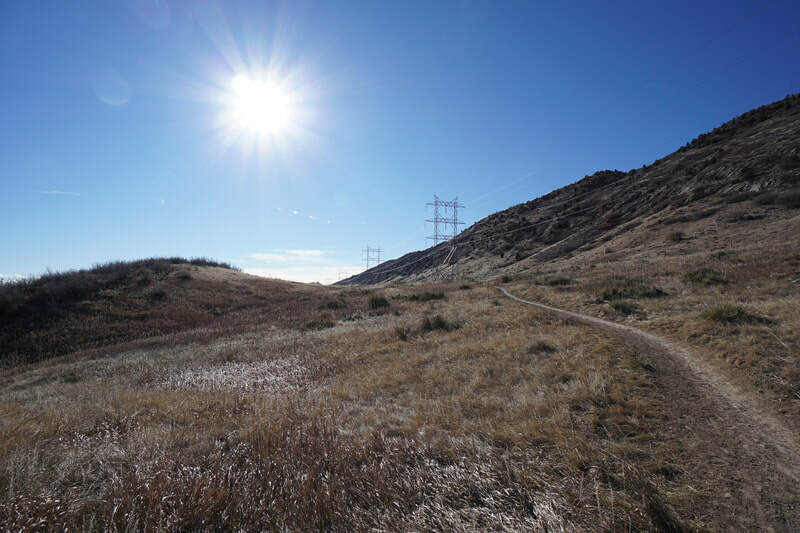 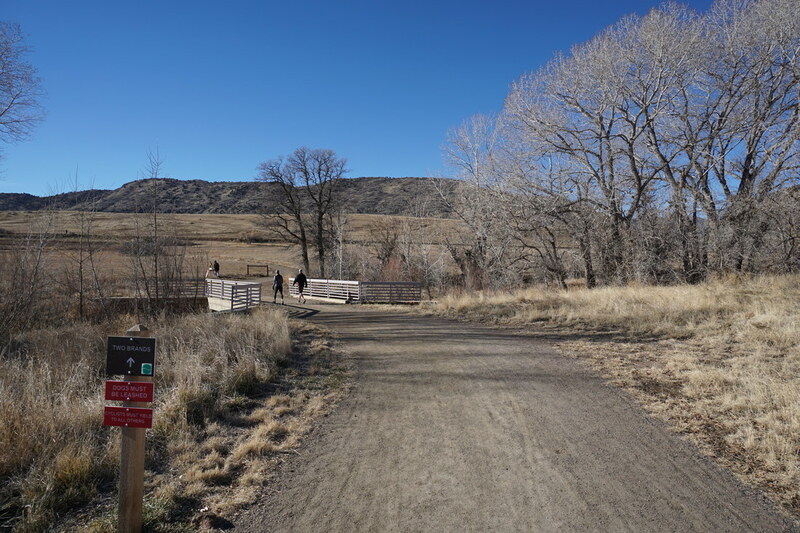 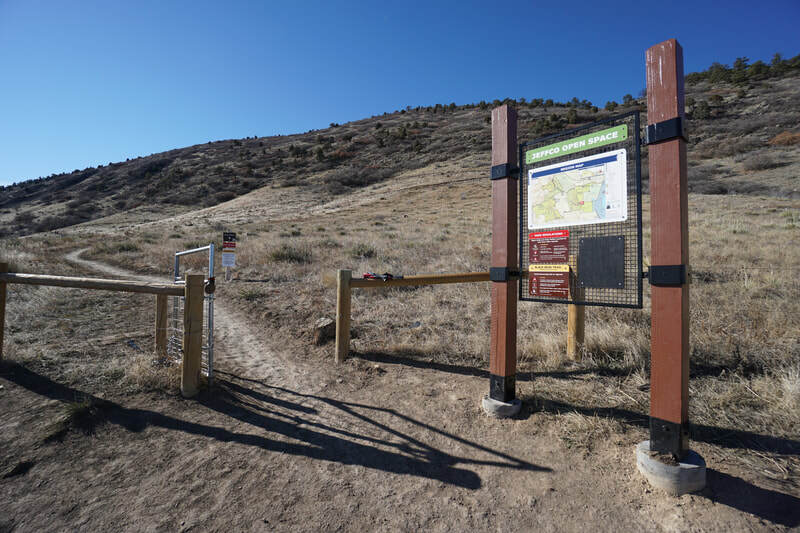 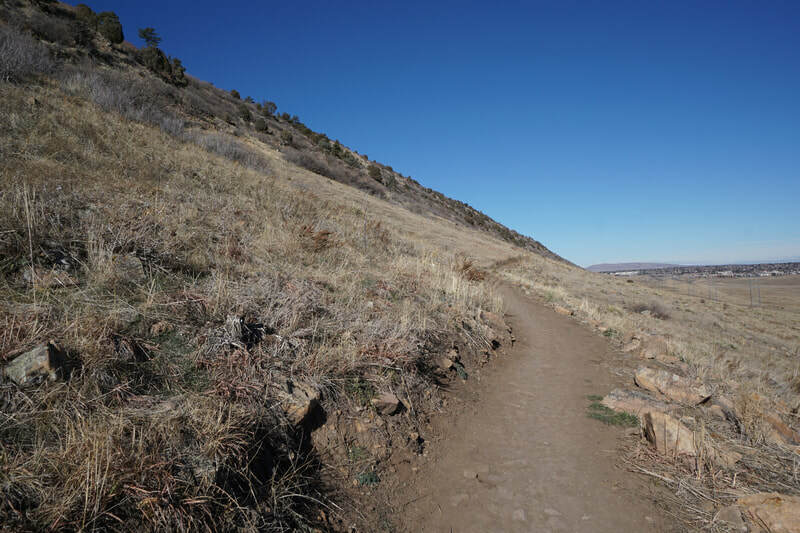 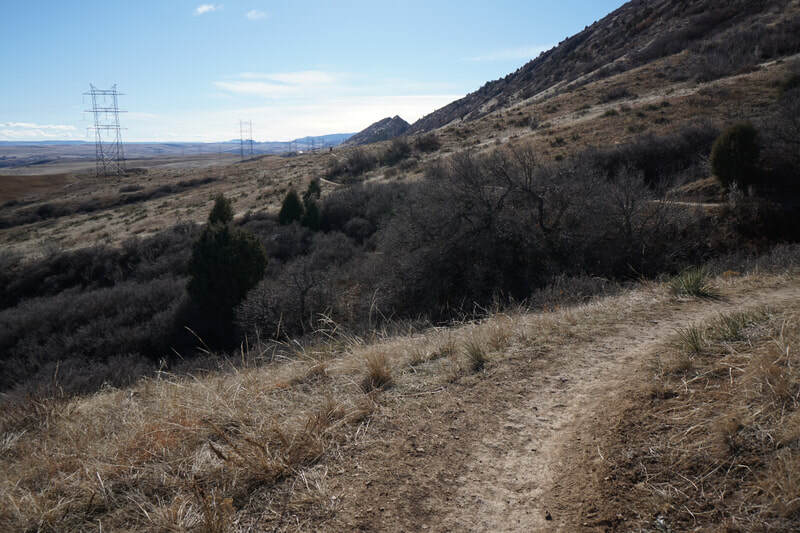 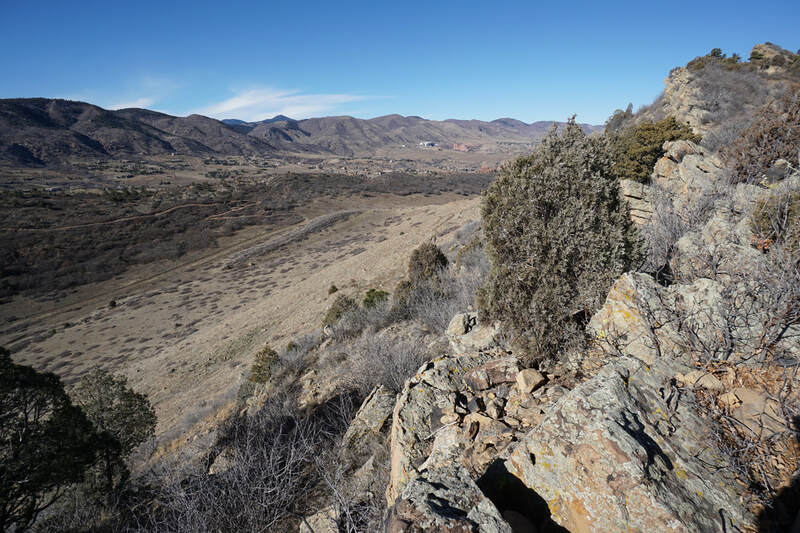 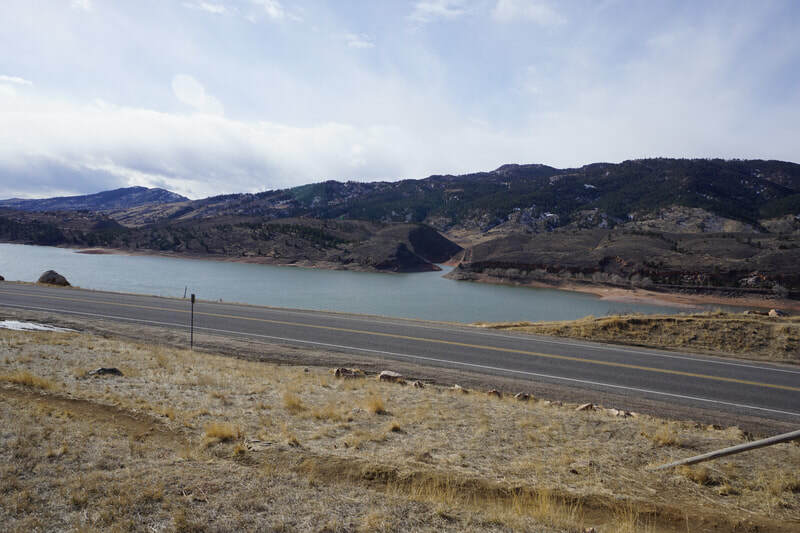 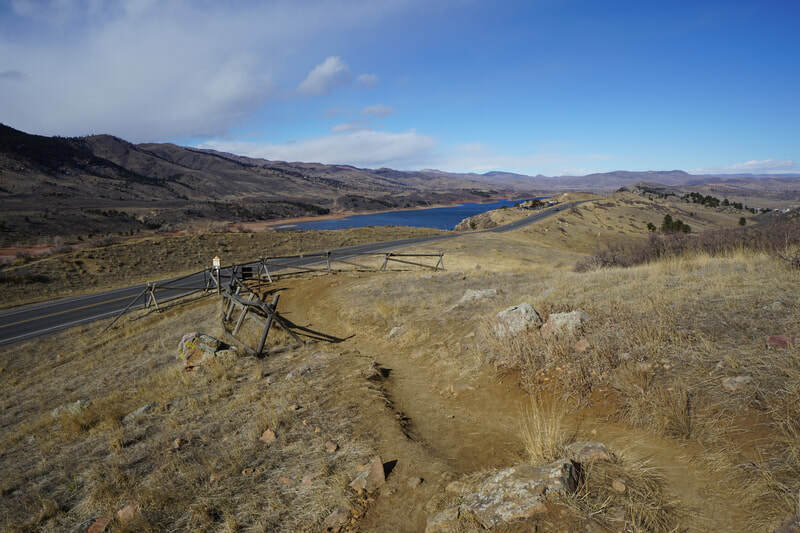 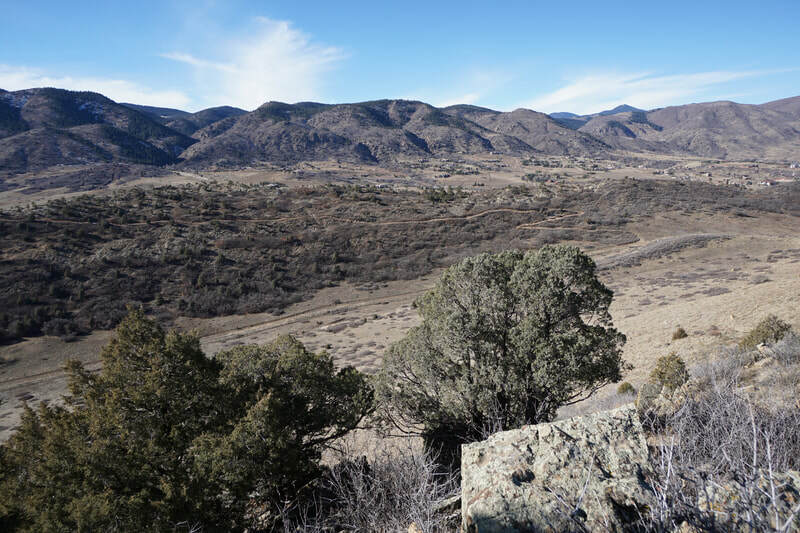 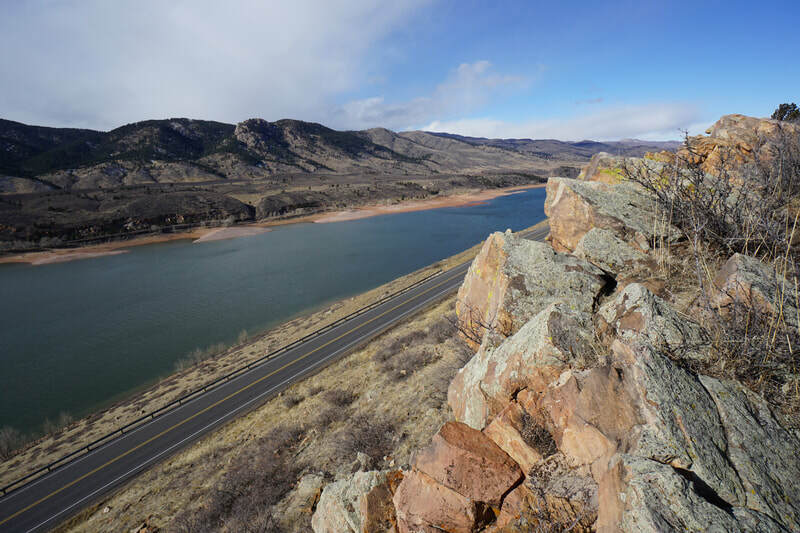 Earlier this year, Jefferson County added to Hildebrand Ranch by completing construction of the Black Bear Trail, a 6.3 (one way) natural surface trail that connects Hildebrand Ranch to Deer Creek Canyon Park. 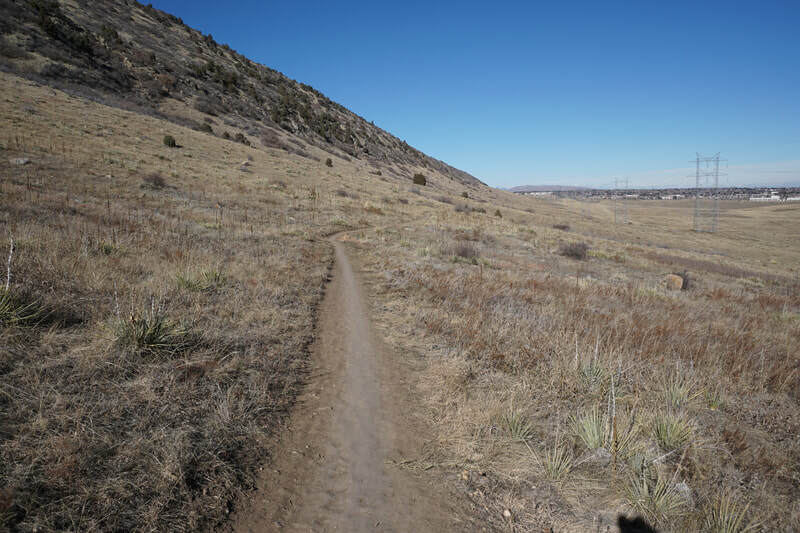 Accessing the Black Bear Trail requires hiking through either Deer Creek Canyon or Hildebrand Ranch which adds 2+ miles on either end. 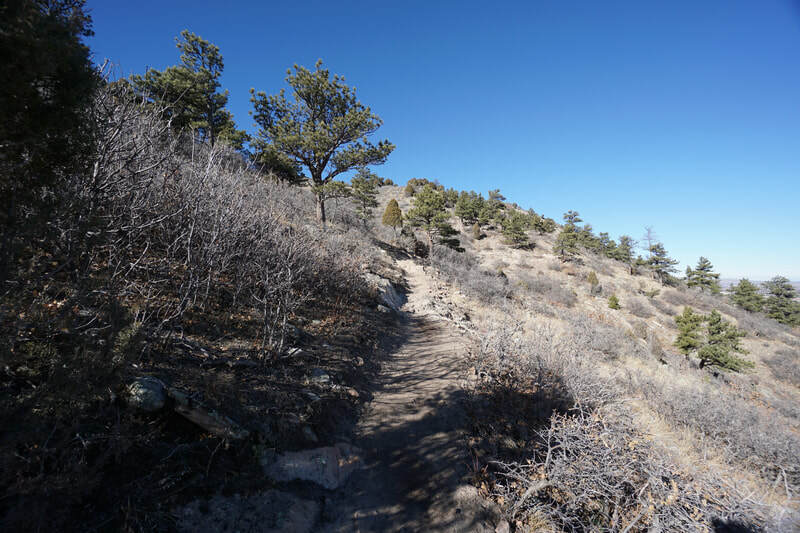 This makes a hike of the entire trail an all-day expedition. 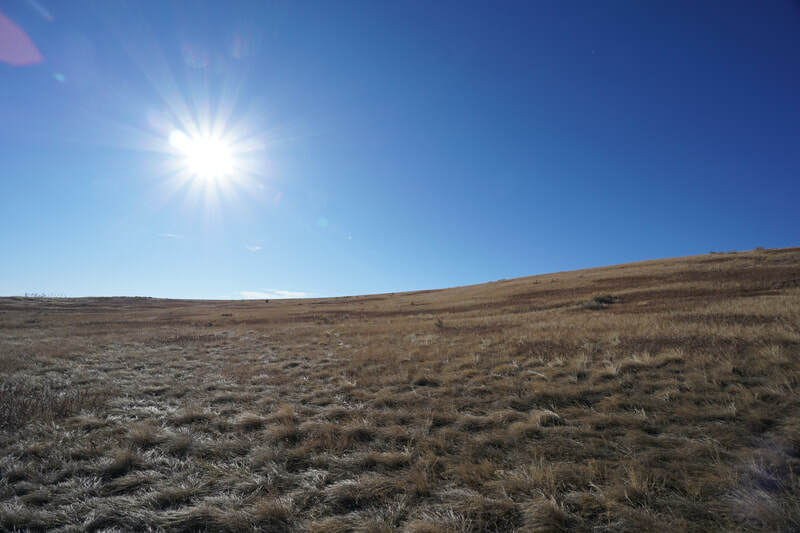 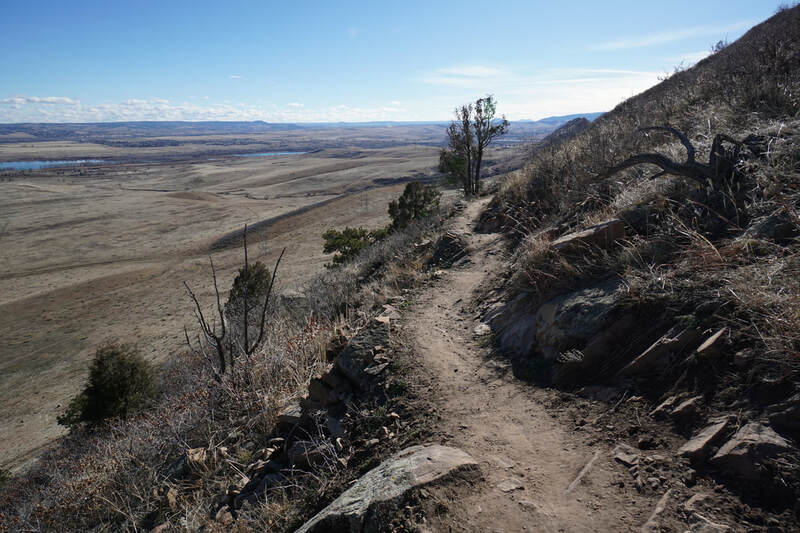 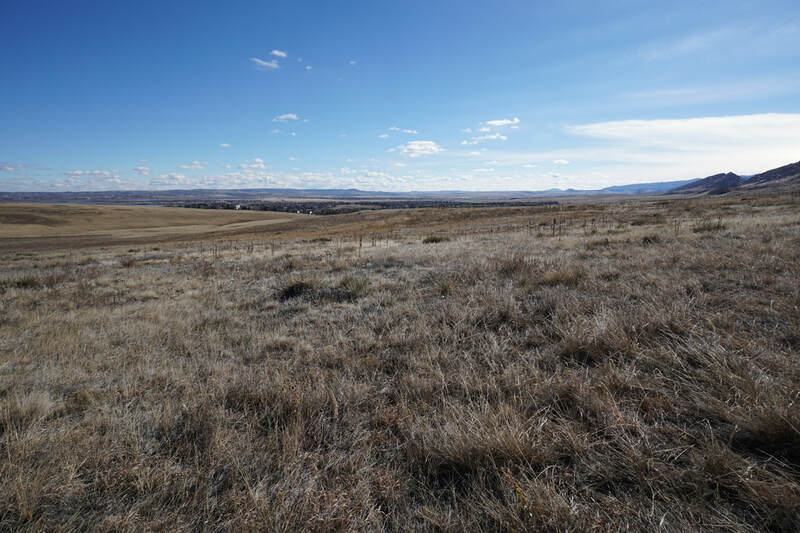 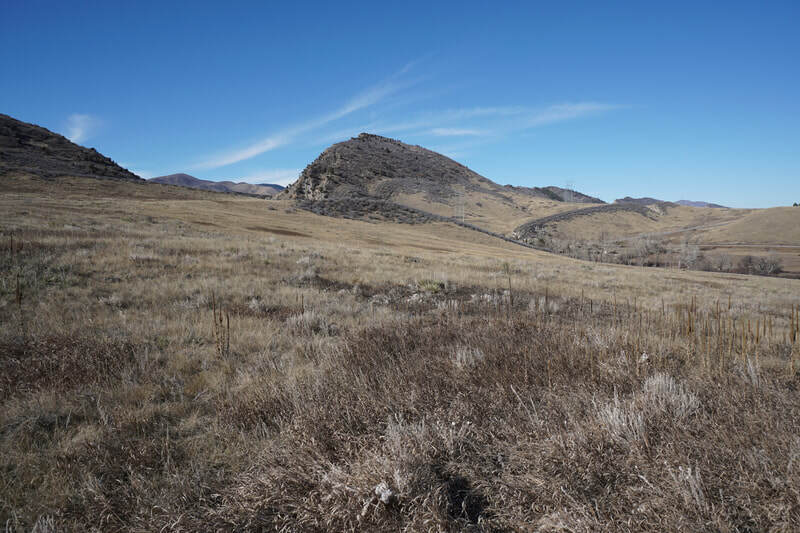 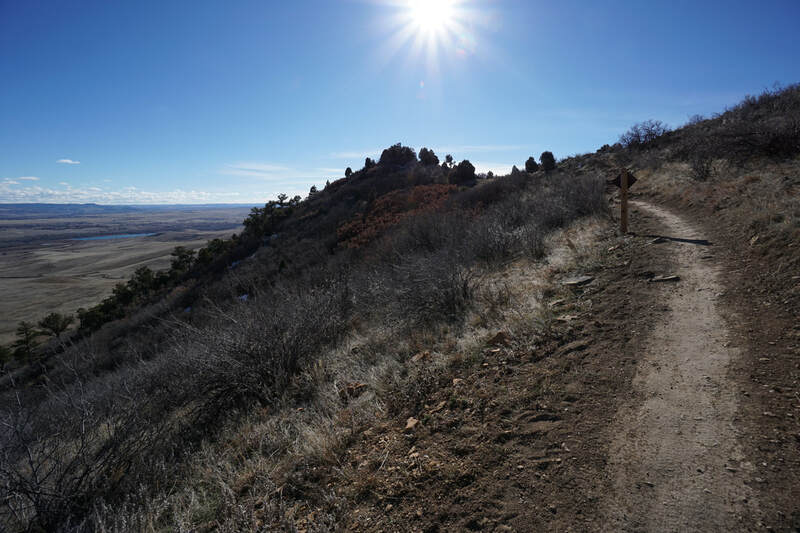 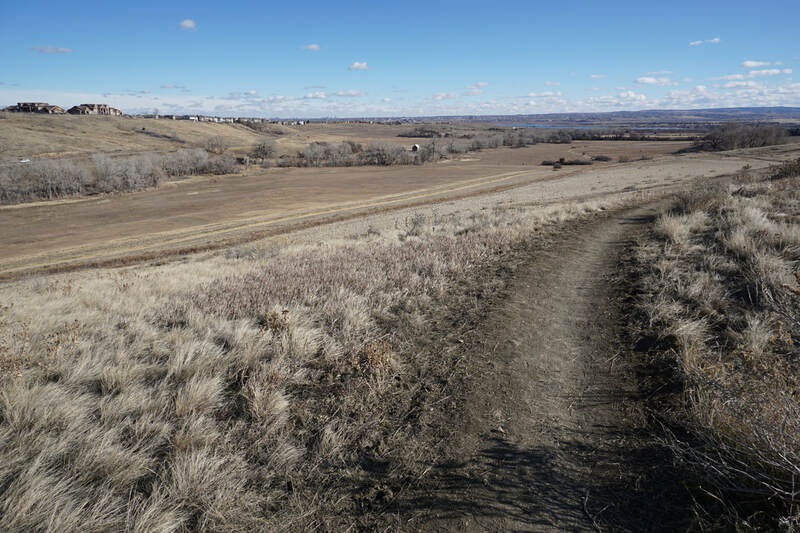 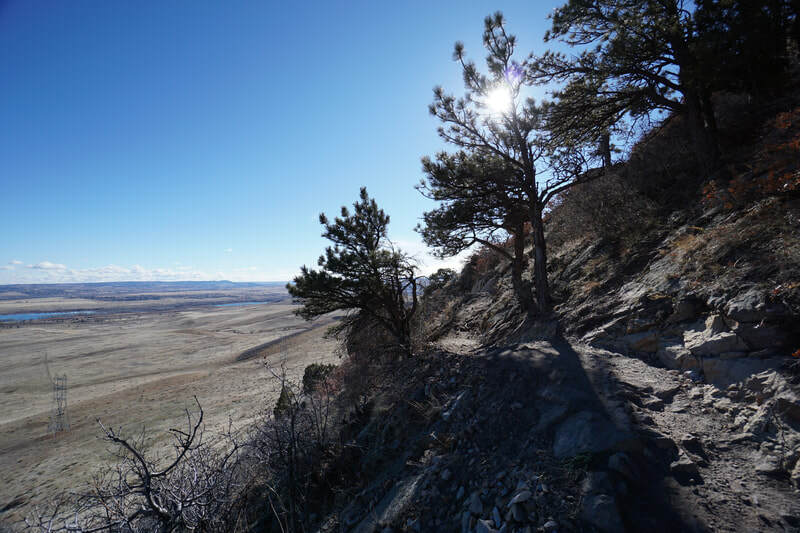 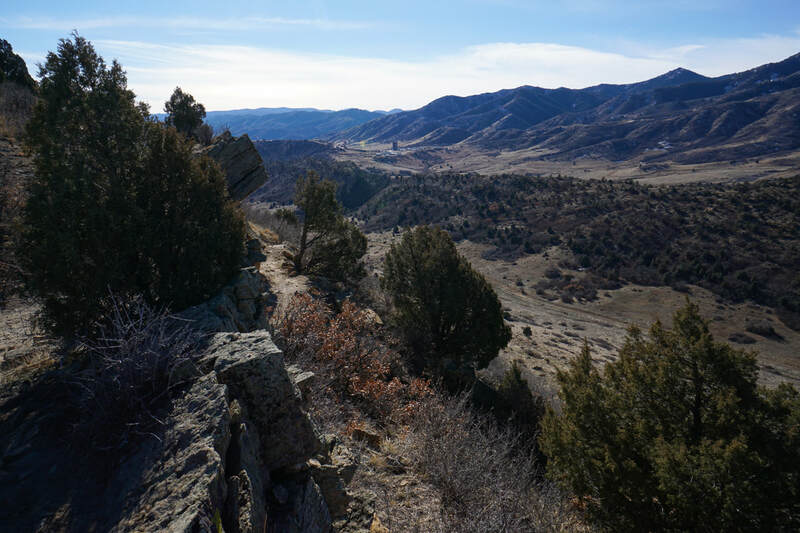 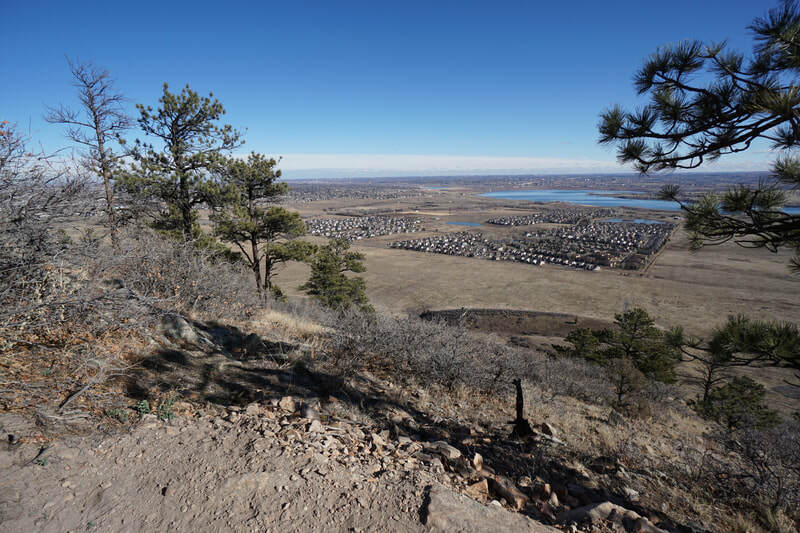 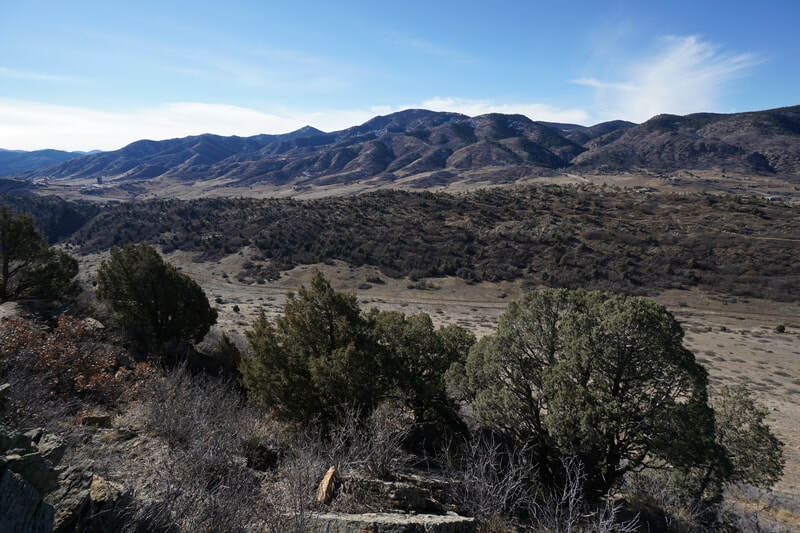 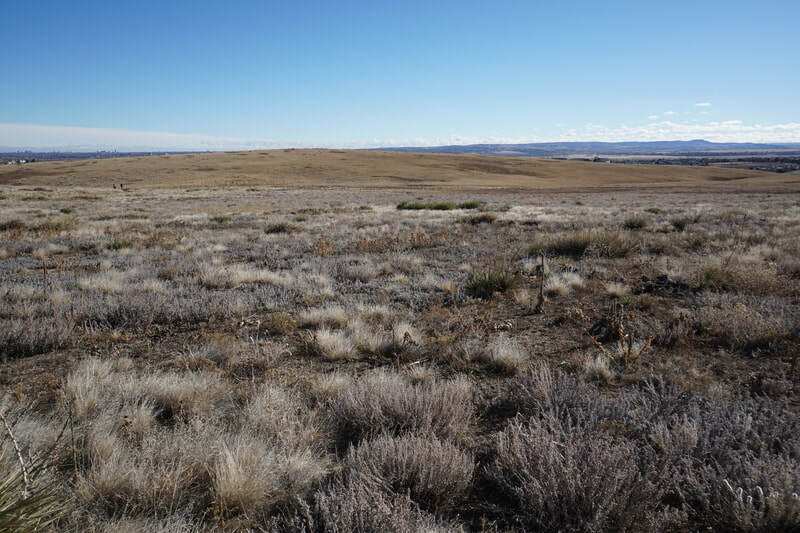 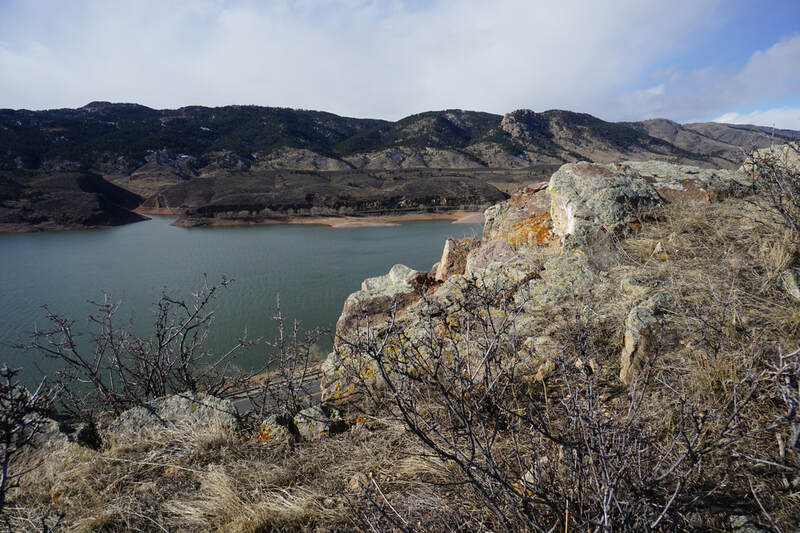 However, hiking the portion of the trail through Hildebrand Ranch to the top of the hogback ridge and back is a wonderful 5 1/2 mile half day hike. From the main parking area in Hildebrand Ranch, set off on the Two Brands Trail by hiking it in a counter clockwise direction. 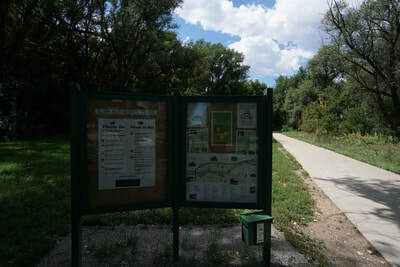 Cross the bridge and turn right onto the Two Brands Trail following the trail signs. 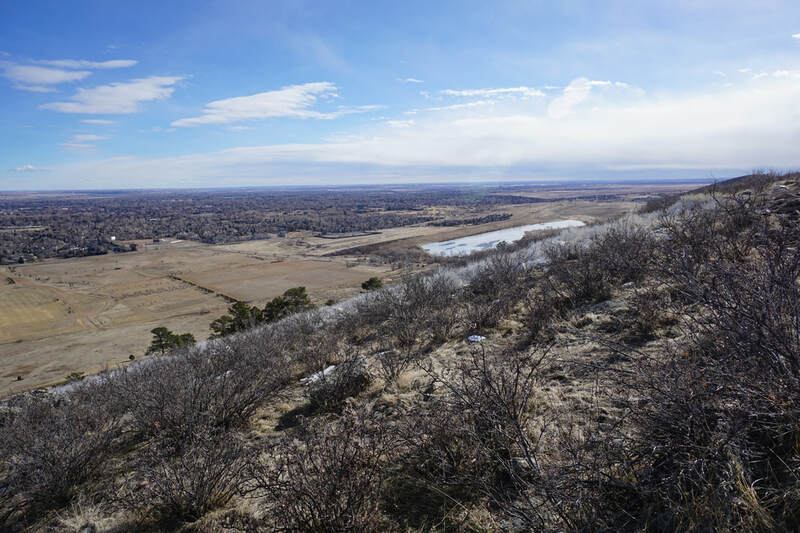 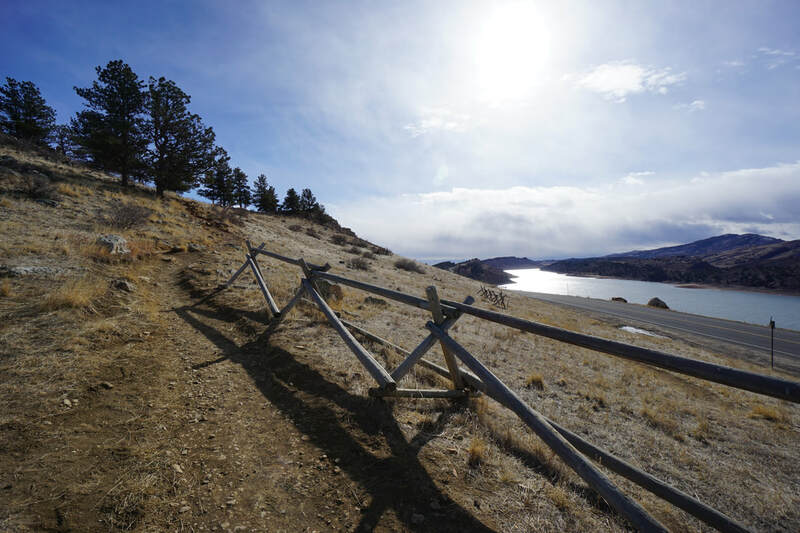 Hike along the rolling hills to the base of the hogback and follow the trail along the base for 1.75 miles. 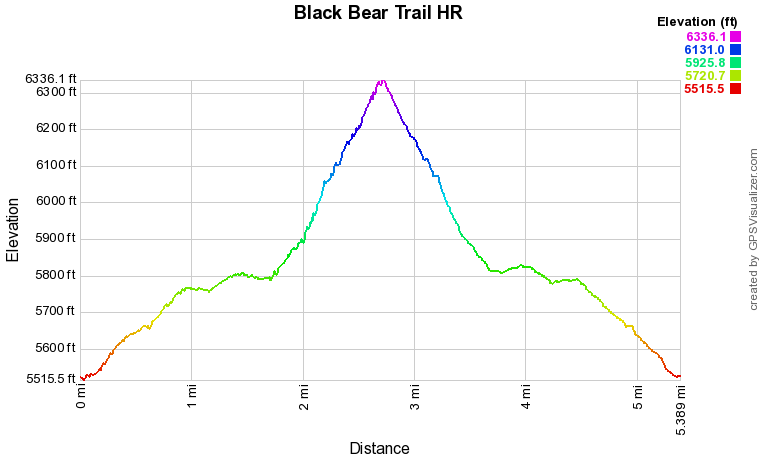 until you reach the trailhead for the Black Bear Trail...here is where the fun begins. 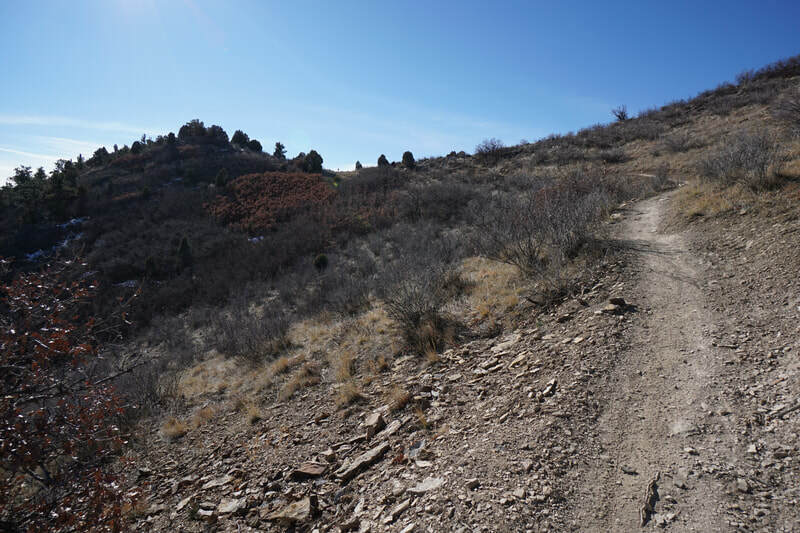 The Black Bear Trail switchbacks up the hogback to a saddle along the top of the ridge. 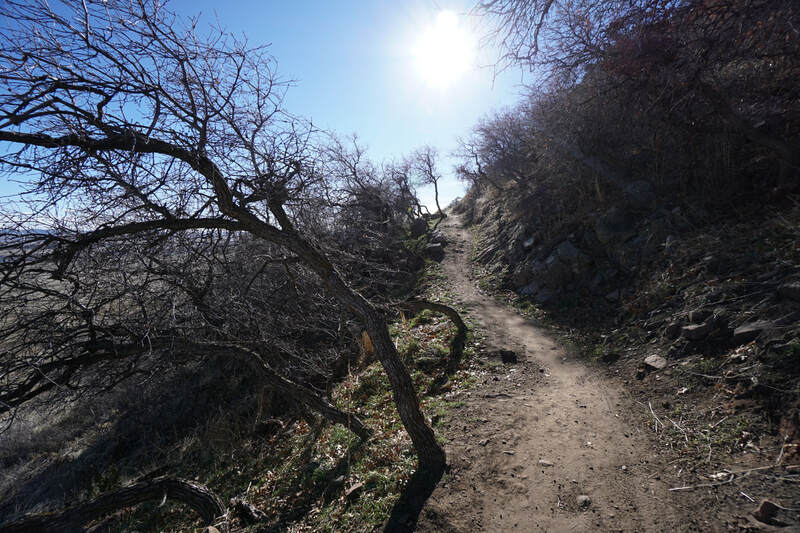 The trail is steep in parts but well constructed. 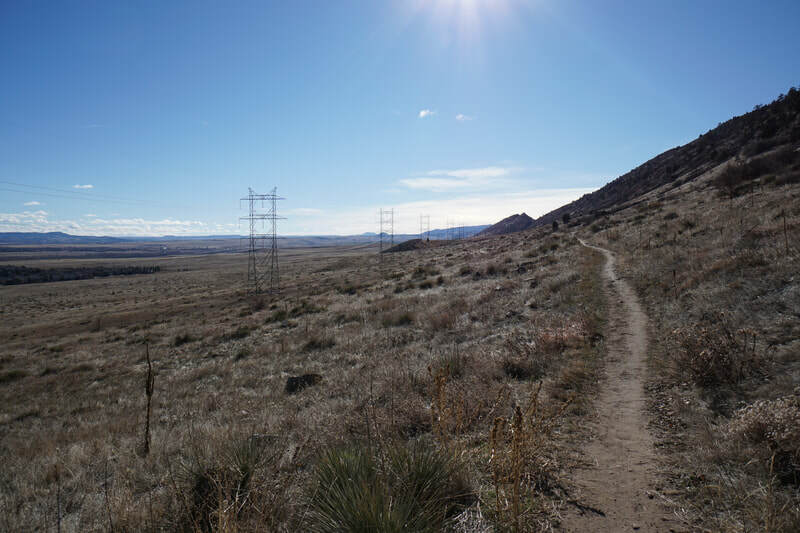 The views along the way get better and better. 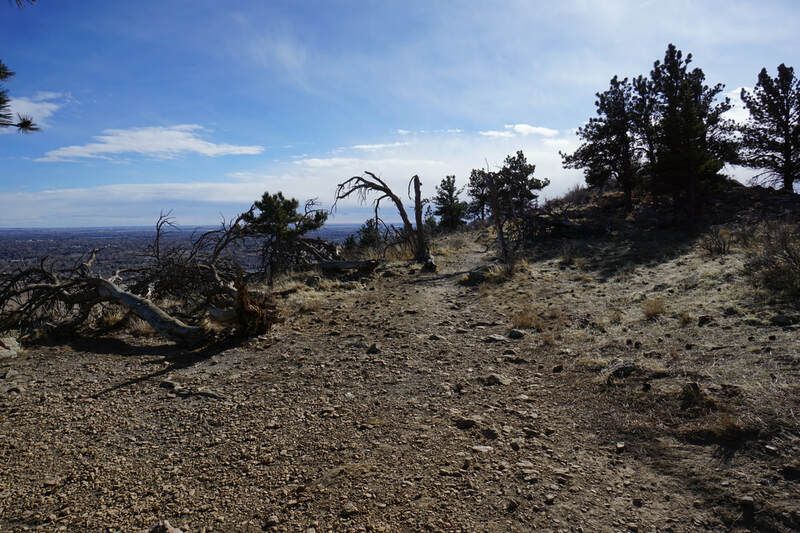 As you gain altitude you'll pass through stands of brush oak and pine trees until you arrive at the top of the hogback. 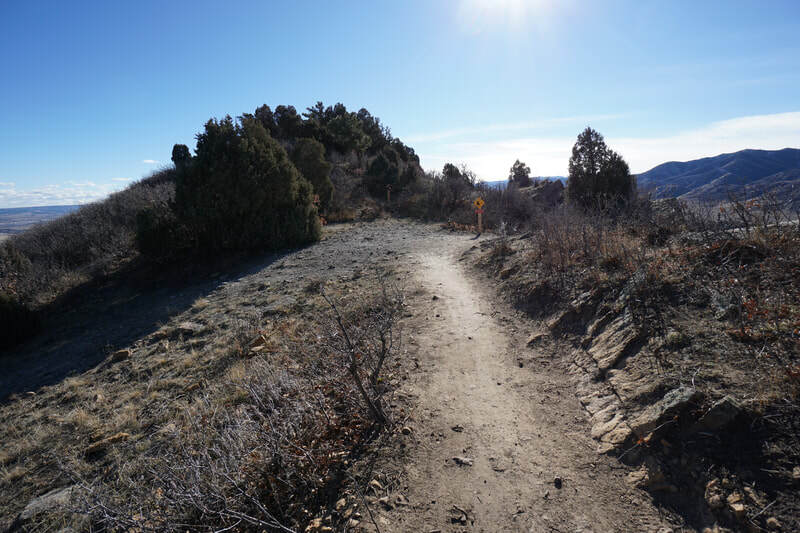 The trail is about 1 mile from the trailhead along the Two Brands Trail to the saddle. 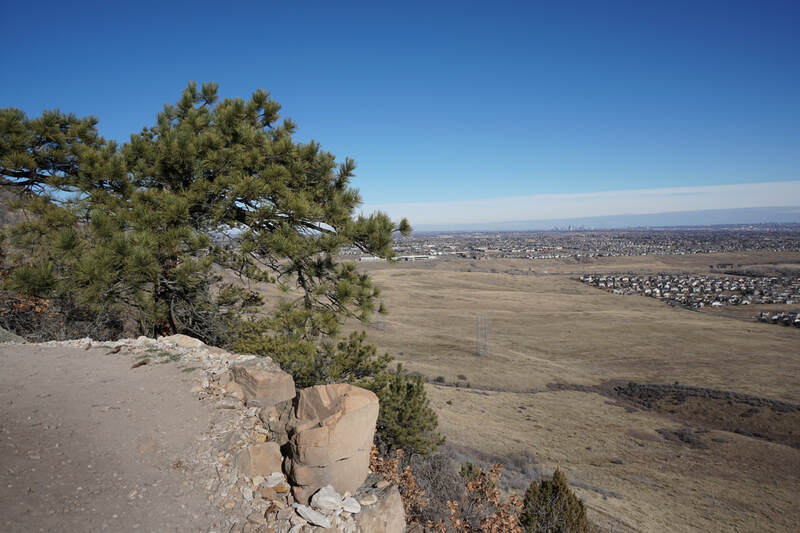 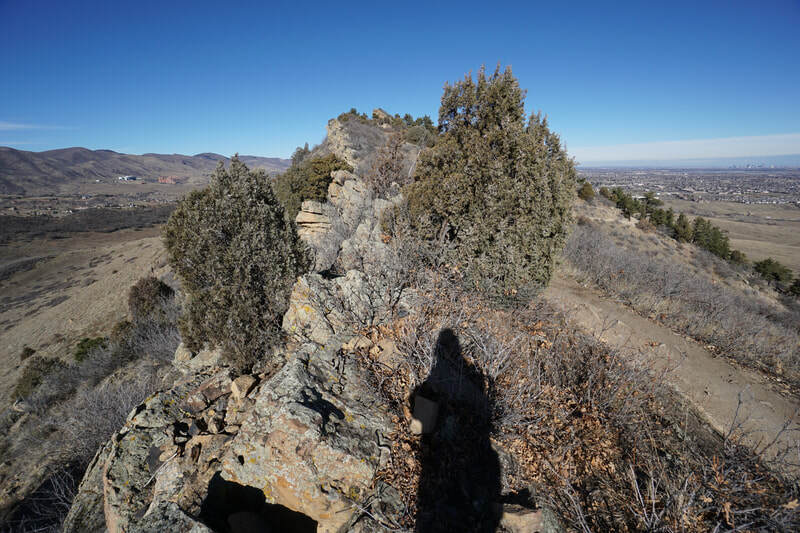 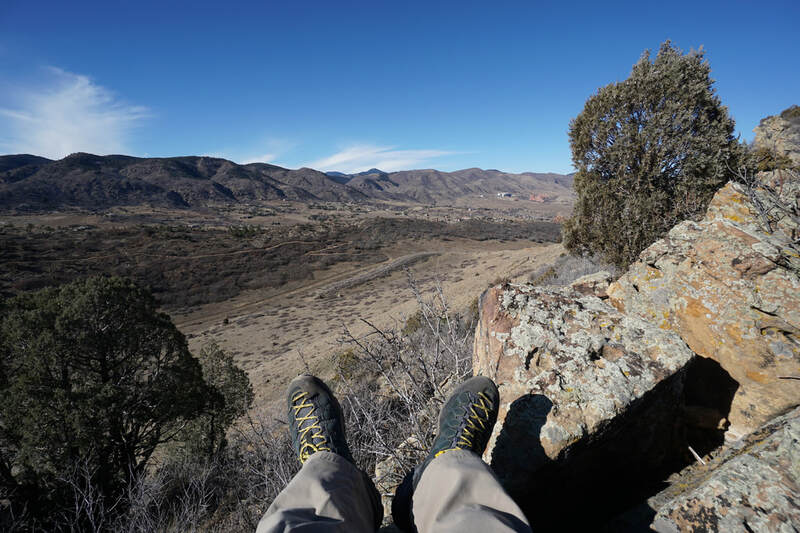 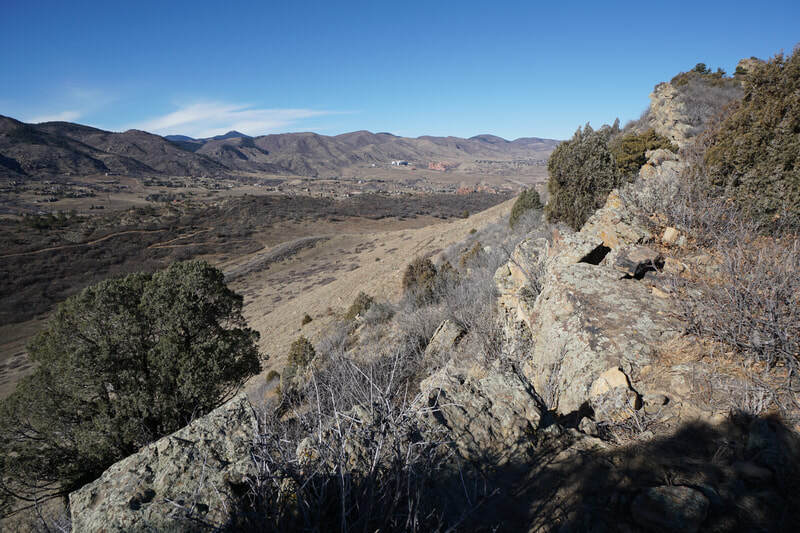 At the saddle there are a number of rock outcroppings that you can use as a resting spot and the views of the valley with Deer Creek Canyon Park's Plymouth Mountain to the west are well worth the effort. 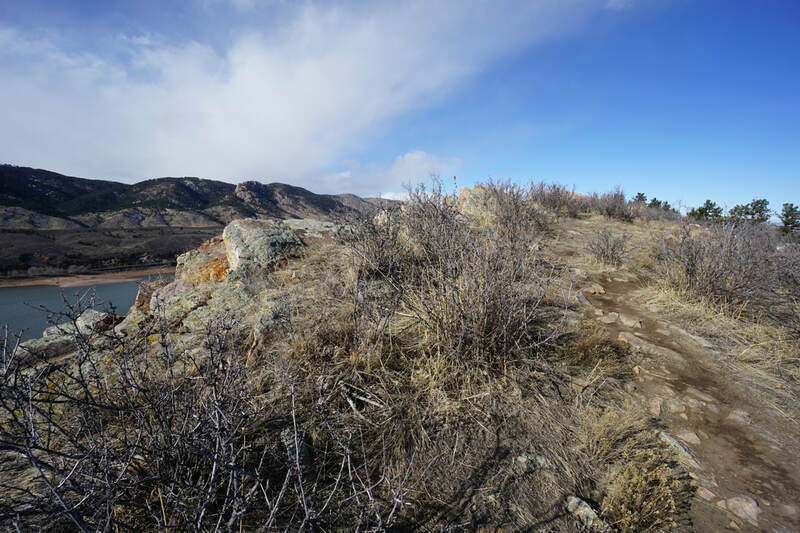 From the saddle you can head back the way you came (as described here) or you can continue down the hogback into the valley. There is another, mini-hogback at the valley floor, then the trail heads up Plymouth Mountain to join with the Plymouth Mountain Trail in Deer Creek Canyon Park. 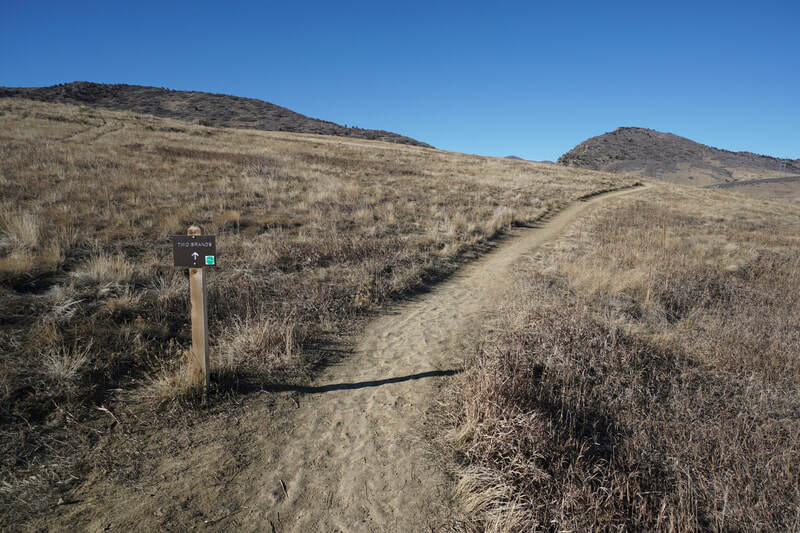 Either way, the Black Bear Trail is a welcome addition to the Jefferson County Open Space system.